Welcome to Heddal Stave Church and to August's ArtSmart Roundtable: Architecture and the study of Norway's historic stave churches. All photography: WikiMedia.org. Welcome to the August edition of ArtSmart Roundtable. We're a company of travel bloggers who share our passion and love of art during our travels. This month's topic is "architecture" and because of my recent journey to Norway, I've decided to write about the unique architecture of stave churches for which Norway is renowned. Emerging throughout northern Europe during the Middle Ages, stave churches are a medieval architecture of another kind, unlike anything I was familiar with until now. Resembling gingerbread houses on the outside, their construction tells of a rich history based on Viking building traditions. Follow me back to the dawn of the Norwegian stave church and we'll discover its origin, construction and examine how 28 of them have survived for more than 800 years, in some cases! At the end of this piece, be sure to see the rest of the roundtable's contributions. Tusen takk! The Gol Stave Church—now located at the Norwegian Museum of Cultural History in Oslo. 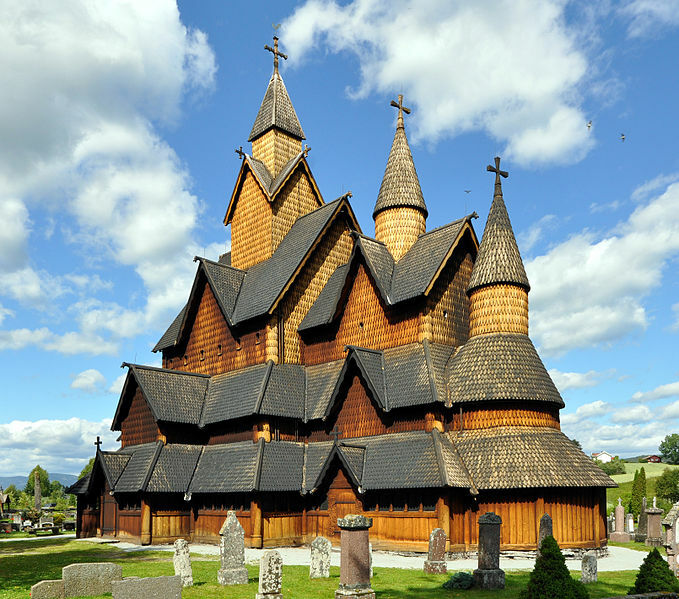 Steeped in Viking history, the stavkyrkje or stave church derives its name from its post (stav in Norwegian) and lintel (horizontal beams) construction methods handed down by the Vikings. 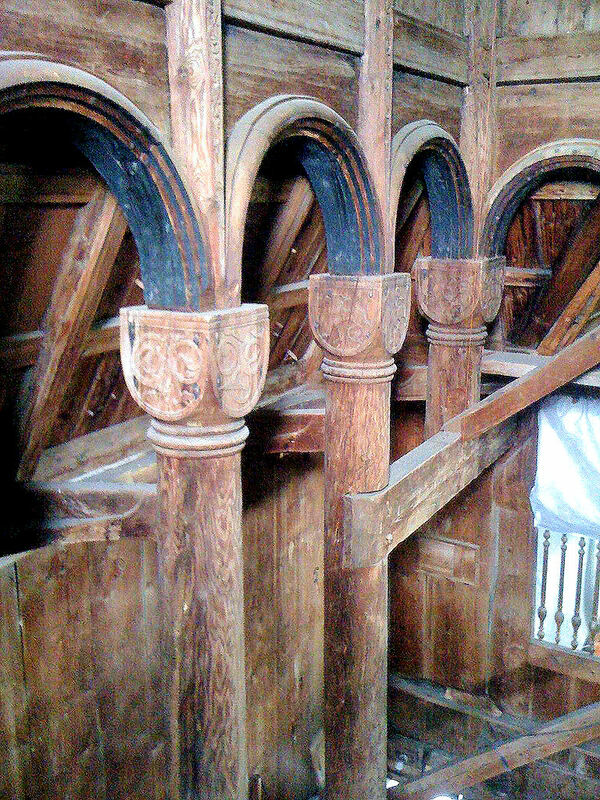 Out of necessity to find solutions for the imminent decay that wooden churches faced in the day, these Medieval craftsmen built upon the foundation of post-and-lintel construction and a three-step evolution ensued. From palisade to post and finally stave, they mastered the technique that eventually led to the stave churches we see today. On the outside, they appear similar but a closer inspection of their bones reveals their evolutionary development. Sadly, almost nothing remains of the earlier predecessors although it is debated that one stave church in Røldal in Hardanger is actually a post church. Another in England, the Greensted Church near Essex, just may be the oldest wooden building in the world dating back to the mid-ninth century with walls that reveal remnants of an earlier palisade church. Dating back to medieval times, the palisade church was the first step leading to the development of the stave church. Logs were split lengthwise and inserted directly into the ground with the flat side facing inward. 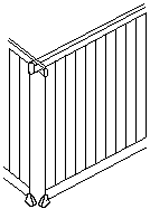 A lintel or sill was then placed on top thus forming the palisade walls. Topping off the walls was a simple hip roof that provided overall stability in its construction. Although this sounds like a solid technique, it had one major flaw—the posts placed into the ground were prone to wood rot. While gravel replaced dirt as the base for the posts in later years, thus extending the life span of the churches, they were susceptible to decay nonetheless. that only the posts were buried. The palisade technique was soon abandoned in favor of sturdier construction—the post church whereby only corner posts were set into the earth and wall timbers rested upon sills mounted at the bottom and top of the walls. While this improved the structure's life span, the corner posts were still susceptible to decay so yet, another solution was needed. posts placed within the framework. Finally, the 12th century arrived and with it, the stave church—the final development in our evolutionary discussion and the most superior in construction and design as evidenced by the survival of these churches for more than 800 years! Instead of driving posts and walls into the ground, a framework of sills was erected atop a stone foundation and posts placed within the sills kept them high and dry. With this improved technique, the next 100 years between 1150 – 1250 saw the construction of more than 1,000 churches with increasingly sophisticated design variations that would eventually split them into what historians now classify as Type A and Type B stave churches: the former are simply designed without any free-standing posts and usually feature a single nave and roof; the latter features a more elaborate design with free-standing posts, aisles and a raised roof accomplished by the manner in which the floors sills are constructed. 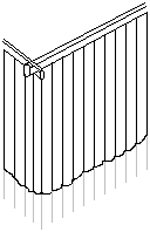 Instead of a square with four posts rising from the corner joints as in Type A, the four sills are laid out like a hashtag or number sign with the intersections providing a base for the free-standing posts, and the ends extending to the exterior-wall sills resulting in side aisles and an apse in some cases. To complicate things even further, Type B is split into two subgroups: the Kaupanger group whose design resembles that of a basilica with rows of free-standing and secondary posts creating a main nave with aisles; the second is known as the Borgund Group, a more sophisticated design with adjoining cross beams forming an "x" between the lower level and upper-level columns, almost like the triforiums found in European stone cathedrals, (see photo of the Borgund Stave Church interior below) thus producing a very sturdy framework and eliminating the need for secondary posts. 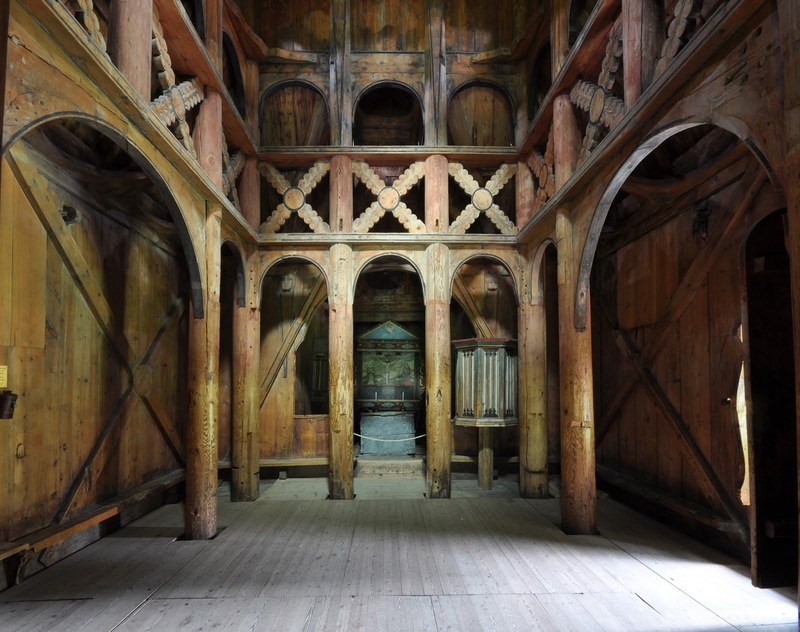 The Røldal Stave Church is of the Type A construction and designed without any free-standing posts. Built in the first half of the 13th century, the Røldal Stave Church is located in Hardanger and contains many artifacts dating back to that period as well including a crucifix and baptismal font. Other remarkable wooden sculptures belonging to the church but now relocated to the Bergen Museum include those of the Virgin Mary and St. Olaf. The Røldal church was a significant pilgrimage site throughout that century and according to legend, contains the relic of a crucifix that sweats every midsummer's eve and with that, delivers miraculous healing powers. Since this is the only Norwegian stave church still in use, you can visit during the summer months only. The church is located about 1.25 hours south of Lofthus on the Hardangerfjord. Or you can reach it via Fjord Norway's "Classic Fjord Route" which runs from Trondheim in the north to Kristiansand in the south. 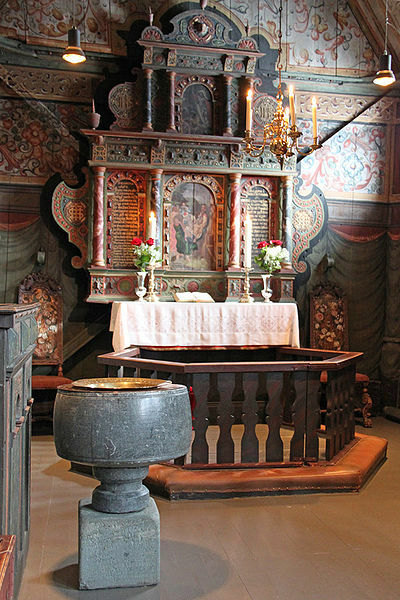 Interior view of the Røldal church shows the 13th-century Baptismal font. Not only was the Røldal church elaborately decorated, it contained a holy relic—a crucifix (located at top of photo) that sweats every mid-summer's eve and delivers with it, miraculous healing powers. On the shores of the Sognefjord is the Urnes Stave Church, Norway's oldest. Norway's oldest, the Urnes Stave Church is now included on the UNESCO World Heritage list. Built in 1130, this is actually the third in a series of stave churches to be erected upon the site. Be sure to seek out the carvings on the north portal (door) because they are originals from an earlier church that stood on this site. 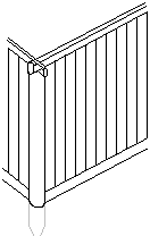 Other remnants of its predecessors include some exterior planks and one the corner staves or posts. Venture inside to see how Norwegians achieved Roman-style architecture in their wooden craftsmanship by constructing and sculpting columns, capitals and semi-circular arches—extraordinary! This is one of the reasons why UNESCO listed them. 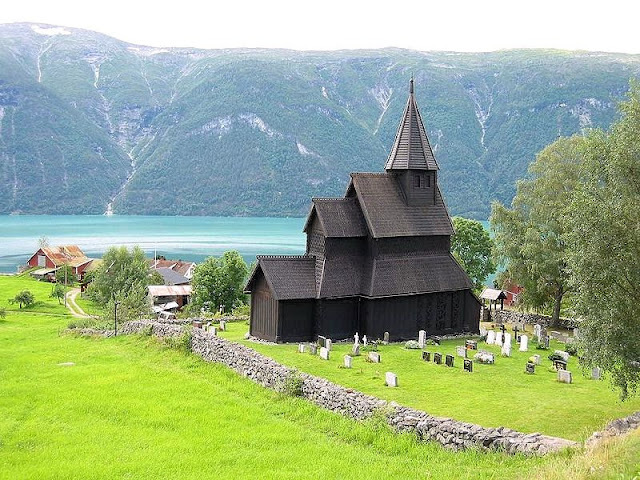 The Urnes church is located on the shores of the Lustrafjord, a northeastern branch of the Sognefjord, and is 2-3 hours from Bergen or 4-5 hours from Oslo. A number of Sognefjord ferries stop in Urnes as well. Note how the Norwegians achieved Roman-style architecture in their wooden craftsmanship by constructing and sculpting columns, capitals and semi-circular arches. This photo only: Marlene Wilson. Norway's best-preserved stave church stands in Borgund. 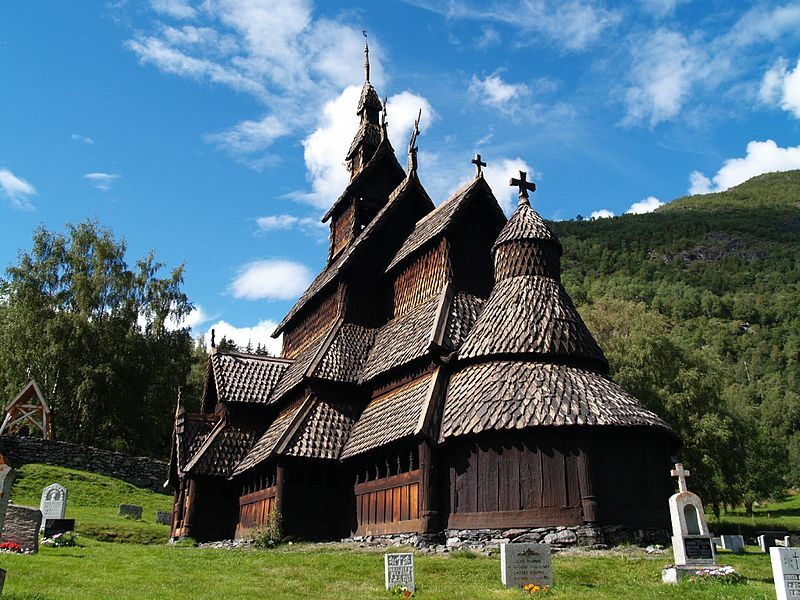 Built circa 1180, the Borgund church claims to be Norway's best-preserved stave church of the remaining 28. From its elaborately carved four dragon heads on the rooftops to the intricate details on its portals, the Borgund church also contains ancient runes recalling Tor and the Ave Maria. Borgund Stave Church is located about a half-hour ride from Aurland along the Aurlandsfjord. Interior view of the Borgund Stave Church shows the more sophisticated design with adjoining cross beams forming an "x" between the lower level and upper-level columns, almost like the triforiums found in European stone cathedrals. Here's an informative video tour of the Borgund church including the striking interiors and elaborate craftsmanship. 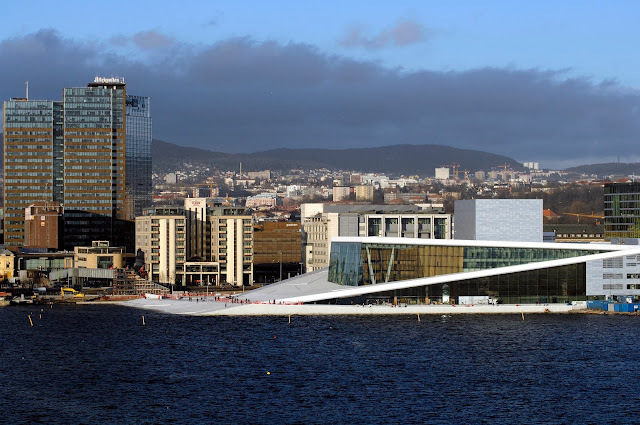 A most dismaying fact: only 28 of these magnificent structures remain in Norway after a number of events that have occurred throughout history, most notably and sadly, the plague of arson that swept through Norway during the 1990s. Nonetheless, they remain among the world's oldest wooden buildings. In addition, there are a few others outside of Norway: one in Sweden and the other Poland - Wang Church. And while not a true stave church, the Greensted Church I mentioned above in England. From their richly decorated exteriors to their elaborately carved interiors, Norway's stave churches remain a living testament to exceptional Norwegian craftsmanship; forever preserving and showcasing their rich traditions and heritage. While some of the most popular and most visited churches are mentioned above, there are a few others that deserve an honorable mention as well. Although most are an easy drive from Oslo or Bergen, some may be be a little further out and require careful navigation of roads, busses and / or ferries. It's best to check when you hire a car, purchase a rail pass or visit a local tourist office for details. 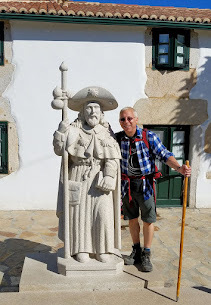 I have included notes below the churches to help you plan your journeys. 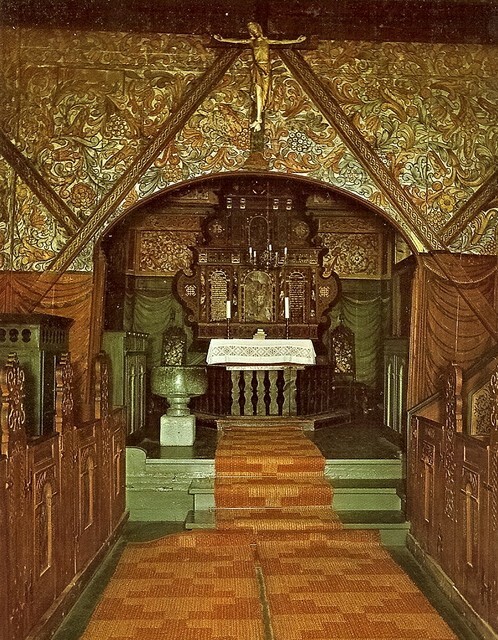 The Fantoft Stave Church in Bergen was originally built in 1150 at Fortun in Sogn and was later moved to its current site in 1883. Sadly, it fell victim to arson in 1992 but was rebuilt and reopened in 1997. Not among the surviving 28 stave churches in Norway due to the fact that's a recently-opened replica, the Fantoft stave church is a striking example of the stave-church architecture and in its day, was among the first of its kind. Originally built in 1150 in Fortun, Sogn, it was moved to its current site about 7.5 km south of Bergen in 1883 but tragically fell victim to arson in 1992. It was rebuilt and reopened in 1997. From Bergen, the Fantoft stave church is just a 15-minute drive. If you don't have a car, hop on the Bergen Light Rail to Fantoft / Paradis. The extraordinary Heddal Stave Church is Norway's largest and a striking example of how the Norwegians perfected their technique in construction—a long way from Palisade Churches. Holding the world's title as the largest and one of the finest examples in stave-church architecture, the Heddal church in Telemark is a spectacular site to behold with its multi-tiered roof, three towers and a nave that resembles the construction of a ship. Inside, medieval paintings remain on some of the walls. According to an ancient legend, this church was built in only three days with the help of a troll named Finn. Read more about this fantastic tale of Heddal Stave Church. Heddal is located about 2 hours west of Oslo. 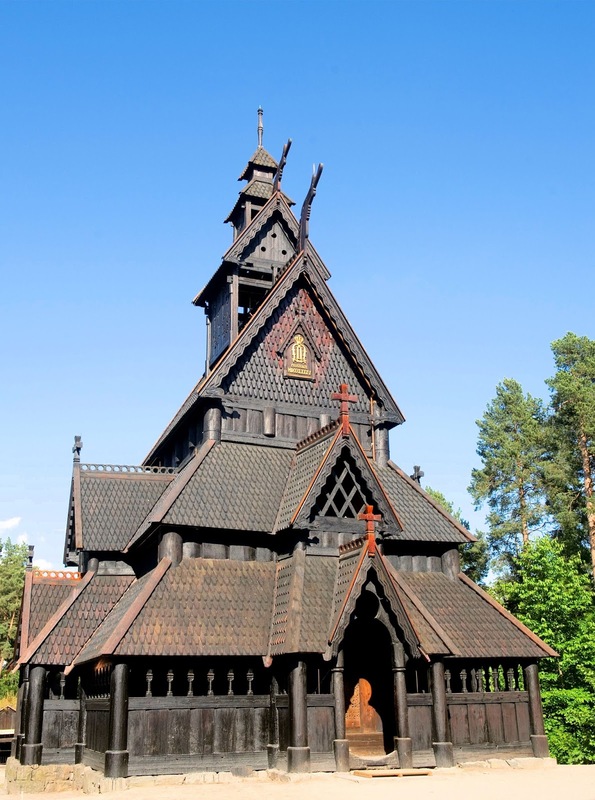 Thankfully, the Gol Stave Church was rescued from demolition by King Oscar II. Built circa 1212, the Gol Stave Church, now in the Norwegian Museum of Cultural History in Oslo, was originally built in Gol, in Hallingdal. 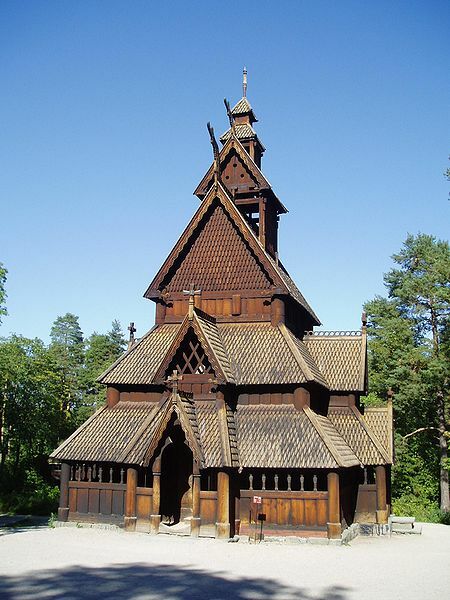 Because of the city's planned demolition of the church to make way for a new church, the stave church was rescued by the Society for the Preservation of Ancient Norwegian Monuments and with the help of funding from King Oscar II, it was moved to Oslo. 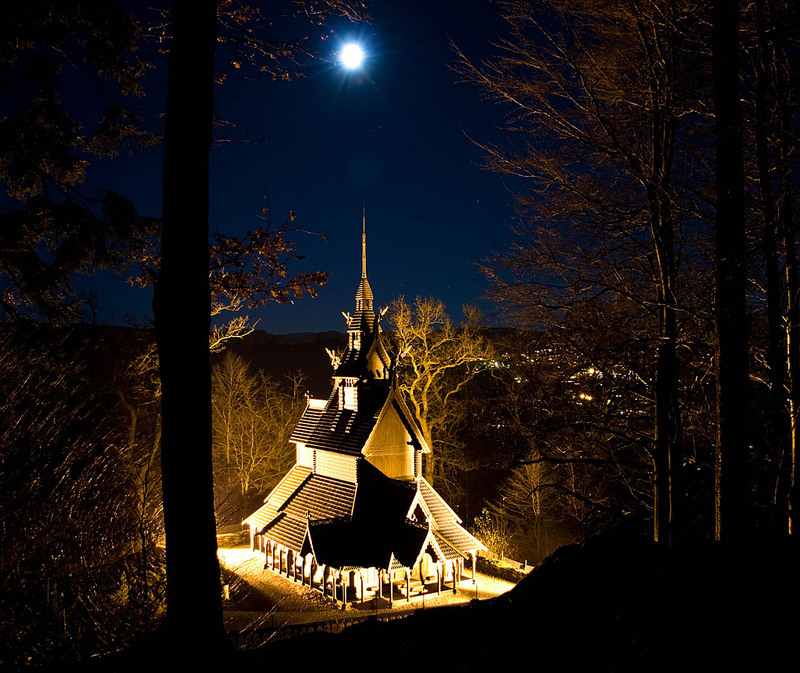 The Gol Stave Church is only a 10-minute drive from Oslo or consider a bus or ferry from the city centre. Wherever you may find yourself traveling in Norway, seek out at least one of the nearby stave churches for a trip back in time and to experience the remarkable construction that truly stands the test of time. These churches are amazing! Would love to see Heddal Stave Church. Hi there Jennifer and thank you so much my friend for stopping by! 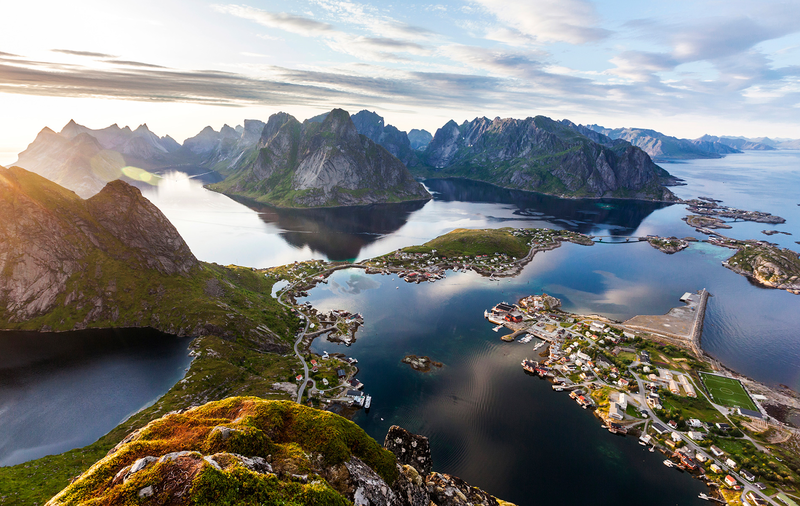 On my next voyage to Norway, I will absolutely plan to see half of these! Extraordinary structures!! Incredible! I've never seen anything like these. Hi Laurel, Aren't they amazing!! I just wish I could have seen them all on my journey to Norway. Thank you so much for stopping by and sharing your thoughts! Wow, this is quite a complete post! So much information about a style of church I was not familiar with. They are striking! Hi there Jenna! You and me both my friend!! I learned so much putting this piece together and now i have a new mission the next time I visit Norway...seek out and explore these fascinating structures! Thank you so much for stopping by to share your thoughts and kind compliments! This is a wonderful post. Thank you. I have visited one of these amazing structures and would love to see more. It is incredible to see the interiors as well as the exteriors. Thanks again. Thank you my anonymous friend for stopping by and for your kind words! You are indeed very fortunate to have visited so many. Any tips you would care to share with my readers? I feel it would be advantageous to have a little information before hand to really appreciate the incredible workmanship and to recognize the details. I couldn't agree with you more my friend! I prefer to be an informed visitor wherever I go! Thx again for your comment. These churches are beautiful and it's so interesting about the architecture and history, such as the healing powers of the crucifix at Røldal church. Lovely settings as well. Hi there Cathynand thank you so much for stopping by to share your comments! I too found the relics fascinating indeed and quite comforting as well! And to think that some of them have been in existence for more than 800 years is quite staggering! I noticed few windows due to the construction. Are they dim inside? Or do they have electric lights to brighten everything up? Hi there Erin! You have a very keen eye my friend. Yes, most of them are quite dimly lit and most have not installed artificial lighting to preserve the historical significance of these fascinating structures. I have not come across any research that explains why there weren't more windows but I suspect they weren't constructed because of undermining the structural integrity and for keeping parishioners warm. I have read that some had leper windows for those afflicted. 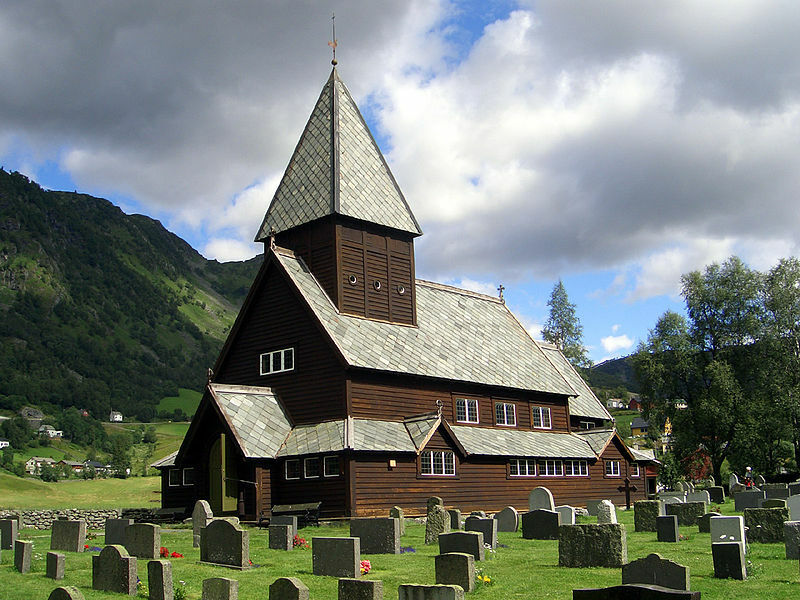 Thank you Jane for stopping by and providing those two links about stave churches. Fascinating! Hi there my friend and thanks so much for stopping by and sharing your experiences! Indeed, they are remarkable structures! There are many intriguing wooden churches in eastern Slovakia, too. And a striking one in Broumov, Czech Republic. Hi there Tracy and thanks so much for stopping by and sharing your thoughts! They're all beautiful! I love historic churches with great architecture so it would be great to do a tour of these churches in Norway. Amazing how much craftmanship went into these. That Heddal Stave Church is just stunning. Hi there Mary and thank you so much for stopping by!! I too love historic architecture as evidenced by this post. These churches are astounding!! And yes, the Heddal is sublime!! Thank you again! Hi there Mr. Night Owl!! Thank you so much for stopping by and sharing your kind words!! Indeed, they are truly spectacular structures! Beautiful churches and fantastic pictures, thank you for sharing Jeff! Hi there Davide and thank you so much for stopping by and for your kind words! Loved putting this article together so I am happy you enjoyed it too!! Ciao Mette and thank you so much for stopping by! I agree, I never knew as well that these churches are steeped in history. I am so glad you enjoyed the post! Jeff, thanks for this post, I found it incredibly informative. I've not seen any of these before, and makes me wonder what else I've missed on my visits to Norway! Hey there Troy! You are quite welcome my friend. I had a fantastic time in Norway and have a few other posts that may interest you. Just click on the Norway "Destination" in the right margin and enjoy! Thank you so much for stopping by to share your kind words! I really appreciate it! Beautiful and breathtaking! Your post definitely makes me want to go just to see the churches alone. Hi there Marian!! Thank you so much for stopping by! Aren't they breathtaking? Hard to imagine that some of these have been standing for 800 years, wooden structures nonetheless!! Thank you sooooo much for posting this interesting tutorial on Norwegian Stave Churches today! I'm thoroughly enjoying it!.. I was originally born in Bergen, Norway and came to The States when I was 6 with my family. While watching the video above.. as soon as it started playing, I immediately got chills! My family has recorded our ancestry and we can trace it back to the mid-1300's on my dad's side and mid-1400's on my mom's. My mom &her 4 siblings have 28 first cousins on the southern coast of Norway (Sogne / Kristiansand / Arendal, and also Skien, near Oslo ). My brother & I have 18 first cousins (mostly in Norway, a cpl in Canada & Sweden). My dad came from a family of 8 kids (Hamar (near Lillehammer) / Jevnaker / Oslo).. I thoroughly enjoyed your post!! Thank you sooooo very much for sharing!! Hi there Anne!! What a fascinating history you describe above. I wish I could trace my family back that far! So much Norwegian heritage and quite a family too!! Thank you so much for stopping by and sharing your personal story with me! I love to receive comments like this! They are truly remarkable structures. Thank you for stopping by again.